Cannabis Legalization And The NFL: Athletes Are Embracing The Medicinal And Financial Benefits Of Marijuana, So Why Can’t The League Play Nice? It might go down as the most expensive bong hit in history. 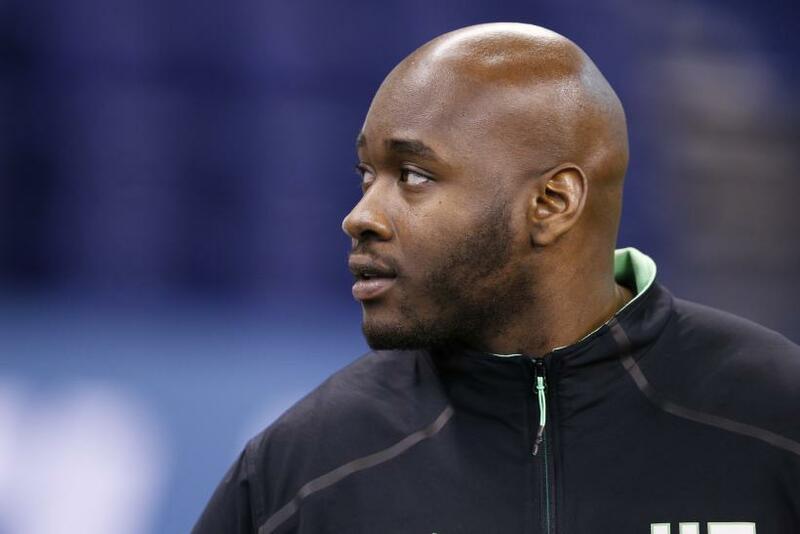 Last Thursday night, Ole Miss offensive tackle Laremy Tunsil tumbled in the NFL draft right after a video appeared on his Twitter feed showing him smoking from a gas-mask pipe. 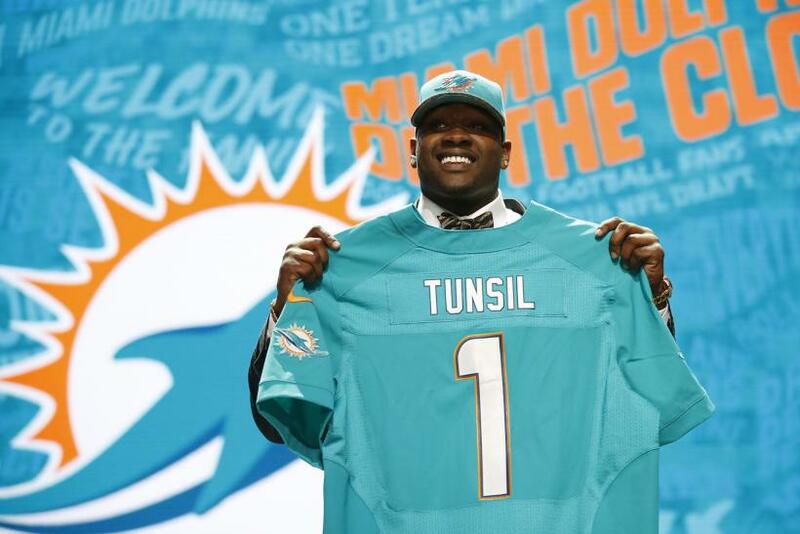 Tunsil went from a potential No. 1 pick to the No. 13 slot, when he was selected by the Miami Dolphins — potentially losing more than $8 million over the course of his rookie contract and at least $7.3 million in guaranteed payments. But now, Williams is finding ways to benefit from his association with cannabis: He’s in the process of launching a marijuana-friendly gym in San Francisco. And he’s not the only former pro athlete getting into the cannabis business. NBA All-Star Cliff “Uncle Cliffy” Robinson is pitching his new cannabis sports brand — Uncle Spliffy — to an industry investment forum in Portland, Oregon, over the next few days. At the same time, current and former NFL players are joining research efforts to determine whether medical marijuana can help symptoms of gridiron injuries ranging from chronic pain to brain damage. Fans, too, are softening on cannabis. The latest polls suggest 56 percent of Americans support legalized marijuana. Why, then, is the NFL so behind in the times? Why can’t those calling the shots play nicely with marijuana, in both attitudes and rules? It’s likely a bit of a stretch to say the bong hit tweeted around the world alone sank Tunsil’s draft stock. The player was suspended for seven games last year when the NCAA determined that he received improper benefits at Ole Miss. And it’s unclear how, exactly, the marijuana video affected various teams’ decision to pass on Tunsil, 21, Thursday night. But many people were still struck by the hypocrisy of the incident. In 2014, the NFL loosened its marijuana rules, increasing the threshold for a positive drug test from 15 nanograms of carboxy THC per milliliter of urine to 35 nanograms. But like other major pro U.S. sports leagues (with the exception of the NHL, which doesn’t include cannabis on its list of banned substances), the NFL still doesn’t look kindly on the use of marijuana, or other “street drugs.” For a player, a first infraction lands you in a rehab program; repeated infractions lead to fines and increasingly lengthy suspensions. That apparently hasn’t stopped players from partaking. According to a 2015 Bleacher Report article, hundreds of current NFL players use marijuana regularly, with some insiders estimating the total number at upwards of 60 percent of all players. At the same time, the league has faced growing criticism for its anti-cannabis stance, especially considering its cozy relationship with alcohol brands and the prevalence of opioid use among players. Last year, former players filed a class-action lawsuit against 32 NFL teams alleging that staff pushed them to use painkillers to recover from injuries. “This is a league that is sponsored by beer companies, and you can’t watch a football game without being exposed to 100 beer ads,” said Mason Tvert, communications director for the advocacy group Marijuana Policy Project. 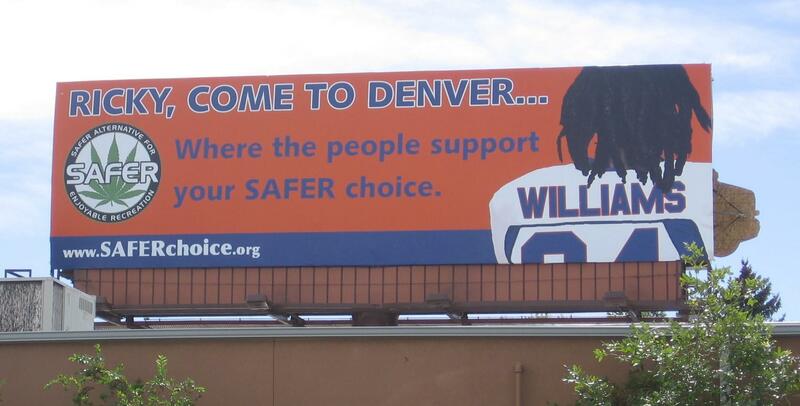 “Whether a player has used marijuana or chooses to in their off time should be of no interest to the NFL.” Tvert, first as the director of the Colorado-based group Safer Alternative for Enjoyable Recreation (SAFER), and then with his position at MPP, has repeatedly promoted billboards mocking the NFL’s cannabis position, including in 2007, when SAFER ran a billboard encouraging Ricky Williams to come to Denver after he was suspended for marijuana use. That’s why many players aren’t waiting for the NFL to come around on cannabis. Meanwhile, researchers at the University of Pennsylvania and Johns Hopkins University are about to launch what may be the first-ever scientific studies of marijuana’s impact on NFL players, courtesy of $100,000 recently raised by When the Bright Lights Fade, a charity campaign launched by the Colorado nonprofit Realm of Caring. But pro athletes aren’t just considering marijuana’s therapeutic effects. They also see cannabis as a business opportunity. Skier Tanner Hall boasts his own brand of “SKIBOSS” rolling papers and lighters, and ultra-runner Avery Collins’ race jerseys sport the logos of cannabis brands like Incredibles and Roll-Uh-Bowl. While current NFL, NBA or MLB stars aren’t yet as likely to embrace such sponsorships, former players are getting in on the action. At an investor pitch forum this week organized by the ArcView Group, one of the biggest names in cannabis venture capital funding, NBA star and former “Survivor” contestant Cliff Robinson will unveil the details of his Uncle Spliffy brand, which will involve marijuana products designed for athletes, branded apparel and even a membership club. To get the company off the ground, Robinson is looking for a $3 million investment. Never mind that scientifically, there’s little evidence yet that marijuana boosts athletic performance; some people think the lure of using cannabis before or after exercise or competition could lead sports to becoming one of the largest segments of the nascent legal marijuana market. It’s why the Gridiron Cannabis Coalition isn’t opposed to pursuing business opportunities alongside its advocacy work. Of course, if folks go overboard touting the athletic potential of marijuana, they could end up with organizations banning the substance as a performance-enhancing drug. In 2014, the World Anti-Doping Agency softened its stance on cannabis, raising its marijuana testing threshold from 15 nanograms per milliliter to 150 nanograms, but the agency's position could easily shift again.